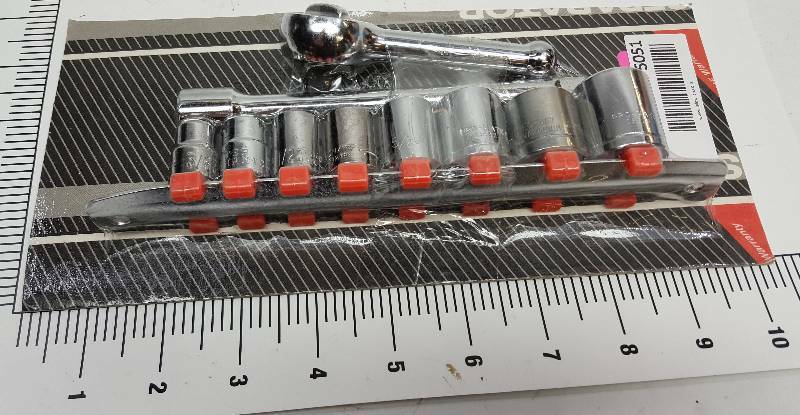 New in the original package is this 3/8" drive "Stubby" ratchet, 6" extension and 8 of the 6 point SAE sockets (3/8". 7/16". 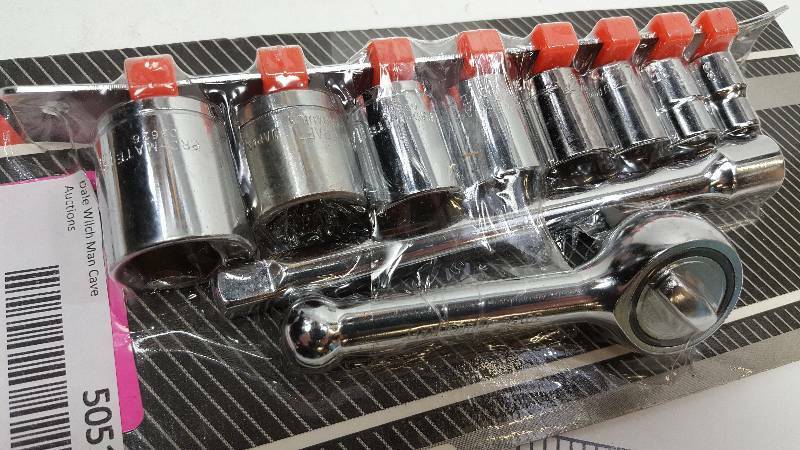 1/2", 9/16", 5/8", 11/16", 3/4" & 13/16") sockets with the storage bar to keep them together.